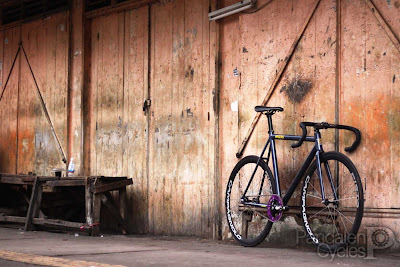 At Fixed Fest 2011 Patrick Thames from PEDAL Consumption met Gibranos from Woof Jakarta for the first time. Eventually they came up with collaboration projects, and one of them is the head badge design for 2013 incarnation of the Kagero frame. 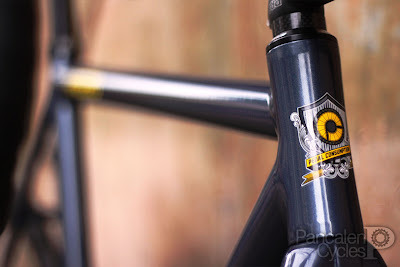 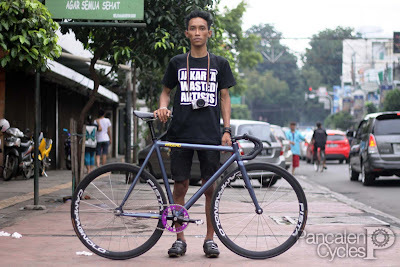 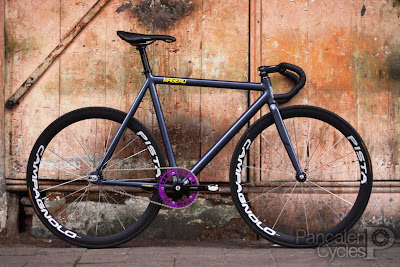 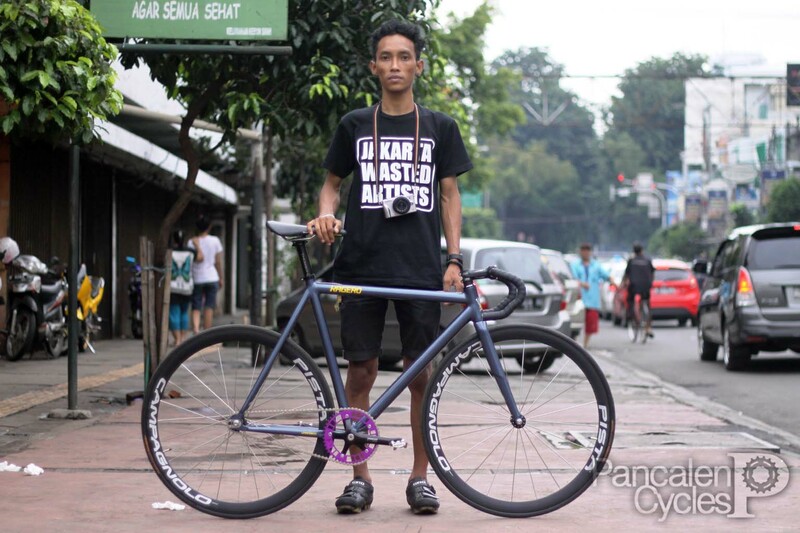 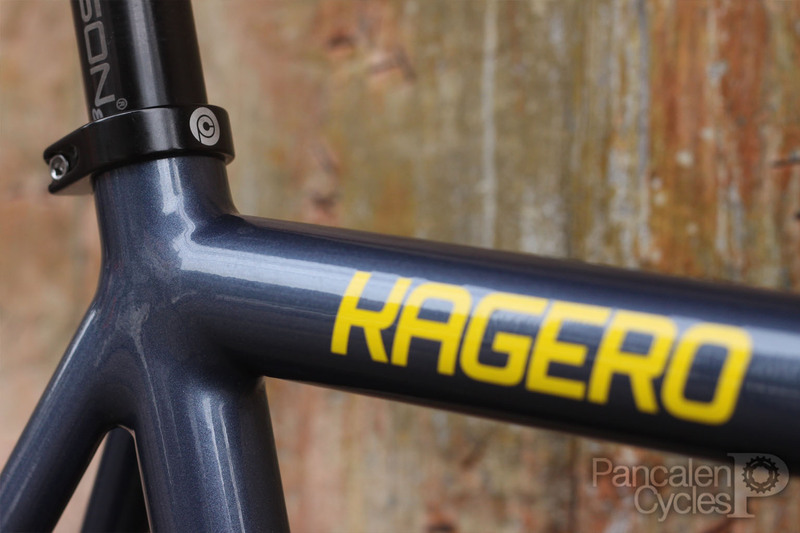 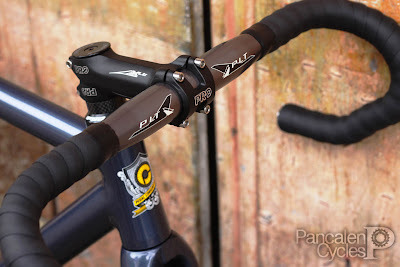 Other than the graphics, there's a few alterations on the latest Kagero frameset. 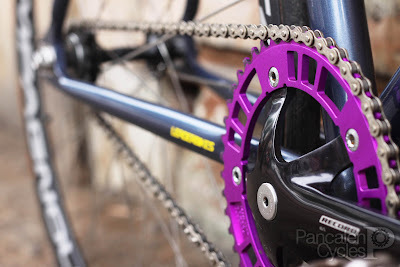 The drive side chainstay was reworked to give extra clearance for cranksets with thick spiders like SRAM Omnium. 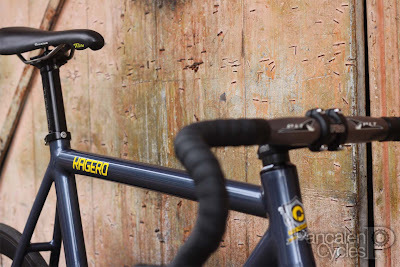 The frame is now available in two colour options, Phantom Pearl or Oceanic Blue as shown. Upon the frame's arrival Gibranos decided to fit this frame with the best parts available. 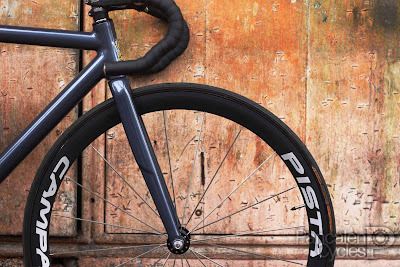 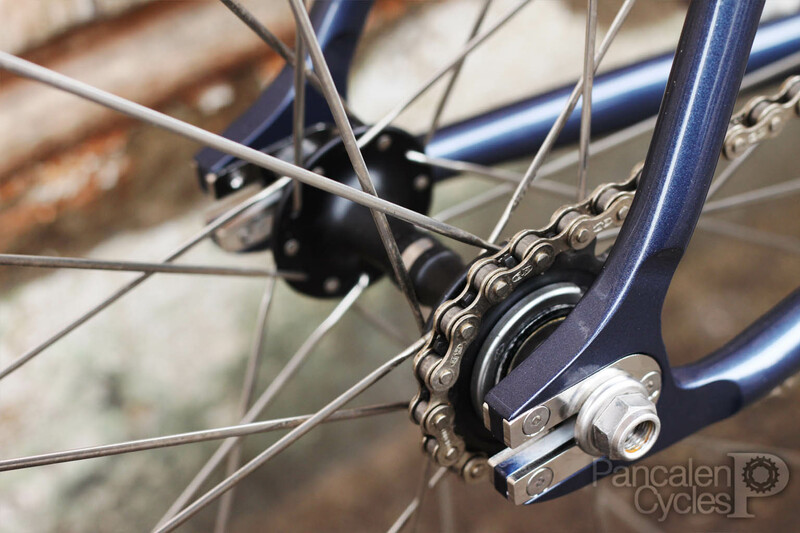 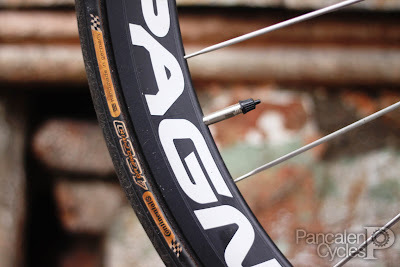 Campagnolo Pista tubular wheels shod with Continental GP4000 tires provides excellent grip, while Campagnolo Record Pista crankset that spins on Hatta R9400 bottom bracket propels the bike forward. The chainring is a limited edition, custom-made item by 44RN for Prolly Is Not Probably. The yellow logo on the Flite Titanium saddle compliments the frame's graphics. The bike rides as beautifully as it looks. 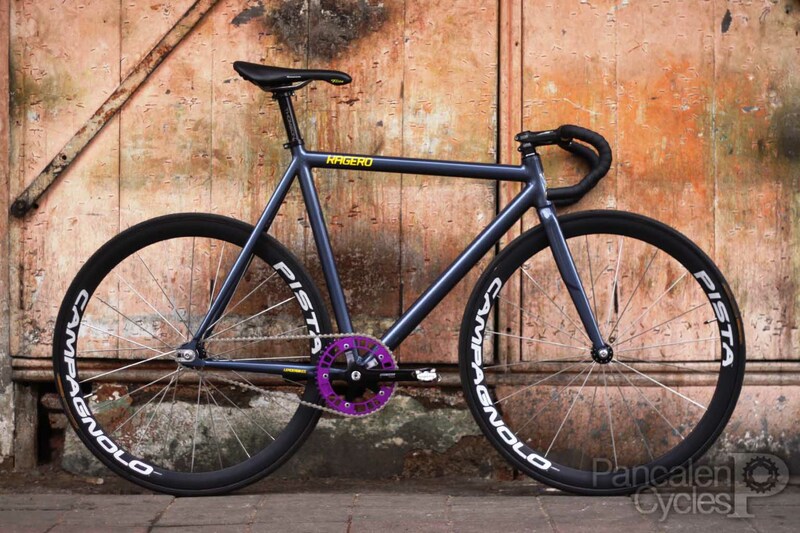 This is one of the bikes that's all show and all go. We had a great time building it for Gibranos, and we're pretty sure he's really proud of this bike.